Northern New York dairy farmers are using a whole-farm nutrient mass balance software tool to identify opportunities to improve their farmwide use of nitrogen phosphorus, and potassium. The ultimate goal is enhancing watershed and agricultural stewardship while simultaneously increasing on-farm efficiency, milk production and crop yield. Farms participating in an assessment of the use of the software statewide have adjusted management practices over the last decade, resulting in an estimated 25 to 30 percent decrease in the import of nitrogen and phosphorus, without a decrease in milk production. With funding support from the farmer-driven Northern New York Agricultural Development Program, Dr. Quirine M. Ketterings, director of the Nutrient Management Spear Program at Cornell University, Ithaca, N.Y., leads the research and extension project that is using the whole-farm management approach to help farmers evaluate opportunities to reach optimal balance. “We are working with farmers and farm advisors on whole farm nutrient mass balance assessments to help identify opportunities for better nutrient use and to document improvements over time. The ultimate goal is to be both economically viable and environmentally sustainable,” said Ketterings. The whole-farm nutrient mass balance software tool allows farmers to compare the nutrient imports in feed, fertilizer, animals, and bedding brought onto the farm with the nutrients exported off the farm as milk, crops, animals, and manure. The difference is called the farm balance that can be presented as a plus or minus balance per acre of cropland or per hundredweight of milk produced. Practices that help increase nutrient use efficiency include increasing on-farm forage production of higher quality forages; better distribution of manure on the farm’s land base; improving feedbunk management; adjusting feed rations to meet varying nutritional needs of calves, heifers, and milking cows; and other changes that result in better use of nutrients across the farm. “A number of farms have shown tremendous progress in nutrient use efficiency over time by adjusting management practices that reduce imports such as feed and/or fertilizer, by better aligning crop and animal nutrient needs, and supplying nutrients only as needed to eliminate excesses and losses,” Ketterings said. With grants from the Northern New York Agricultural Development Program and other funders, Ketterings and her team have developed feasible mass balance ranges for New York dairy operations, using actual balances from commercial dairy farms in New York. Farms operating outside the optimal operational zone most likely have opportunities to improve their nutrient use efficiency. Farmers interested in learning more about whole-farm nutrient mass balance assessment will find information on the Nutrient Management Spear Program website at http://nmsp.cals.cornell.edu/NYOnFarmResearchPartnership/MassBalances.html. Farmers can download an input sheet to submit to Ketterings and her team for confidential review. Funding for the Northern New York Agricultural Development Program is supported by the New York Senate and administered by the New York State Department of Agriculture and Markets. Learn more at www.nnyagdev.org. Data from the 2018 corn harvest on Northern New York farms will contribute to yield-based zone management for corn growers and evaluation of yield potentials for New York soil types statewide. Zone-based management and yield mapping present the opportunity to better allocate resources to save on expense, time, and labor, and to reduce environmental loss of nutrients not taken up by the crop or soil. Dr. Quirine M. Ketterings, Director of the Nutrient Management Spear Program at Cornell University, Ithaca, N.Y., leads crop production enhancement research funded by the farmer-driven Northern New York Agricultural Development Program. Using data from four farms in NNY and eight other farms statewide, Ketterings and her team of collaborators are evaluating nitrogen management for farm specific, field-specific stability zones. “Farmer participation is essential to identifying yield limitations and developing strategies that make best use of resources like manure and fertilizer. Our goal is to find ways to improve yield and nutrient use and reduce the risk of nutrient loss to the environment at the same time,” Ketterings said. A minimum of three years of data from yield monitors on harvesting equipment is needed since stability zones are farm-specific and field-specific and are based on farm average and variability over a period of three or more years. Yield data from all fields in the same year are used to determine farm yield averages and variability in yield over the three-or-more-year timeframe. Yield stability zone mapping is evaluated to identify in which zones farm resources can be best allocated for the biggest return on investment. Zone-based allocation applies to the use of manure and fertilizer, seed density, crop variety, and other factors. “With yield data of three or more years for a field, a map can be created with four zones. This mapping allows us to evaluate where to invest limited resources,” said Ketterings. She notes the current focus of the zone mapping is on nitrogen management, but this zone-management approach can be expanded to other nutrients, manure application method and tillage decisions, variety selection, population densities, foliar applications, and other production considerations. “The goal is to identify when and where we could expect a yield response, and to identify what we can do to elevate yields in the areas not yielding as much or very variable in yield over time,” Ketterings added. Ketterings’ work on the use of yield monitor data included the development of a protocol for obtaining and cleaning corn harvest data collected by the yield monitor systems that are increasingly used on regional farms. The data cleaning process is as important as field calibration of the yield monitors. 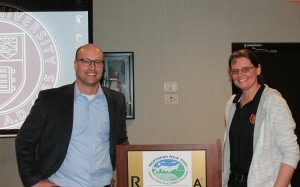 This regional research funded by the Northern New York Agricultural Development Program is part of a statewide effort. It was announced on November 6, 2017 that Yara International ASA completed the acquisition of Agronomic Technology Corporation (ATC) which operates Adapt-N, a Cornell-developed technology that helps farmers optimize N fertilizer use. Yara is a Norway-based leader in the fertilizer industry and the largest global manufacturer of synthetic nitrogen with a retail presence in 160 countries. The acquisition of ATC is in line with Yara’s strategy to accelerate its investments in digital farming and sustainability. Adapt-N is Cloud-based technology platform that provides field-specific nitrogen recommendations for corn by simulating the nitrogen cycle utilizing soil, weather, crop, and field management data. It was developed at Cornell University and first launched in 2008. Lead inventor Harold van Es and colleagues Jeff Melkonian and Art DeGaetano worked with teams of researchers, farmer collaborators, extension staff, crop consultants and graduate students to test the tool in over 200 on-farm trials in several states with the support of federal, state, and foundation funding. With this, the economic and environmental benefits of Adapt-N were documented, showing that it can improve profits while reducing environmental losses. Could this cornfield support a winter crop? Northern New York Agricultural Development Program-funded research is testing corn-rye combination yield, conservation opportunities. Harvested cornfields may look barren, but in some a winter-hardy crop is already growing. The results of field trial research funded by the farmer-driven Northern New York Agricultural Development Program evaluating the opportunity to grow winter rye planted in Northern NY cornfields are posted at www.nnyagdev.org. W.H. Miner Agricultural Research Institute, Chazy, N.Y. Is leading the double cropping research. A second of trials assessed the yield and quality of the two crops grown on the same acreage and the opportunity for conservation benefits. ‘Our field work in both years suggests that the presence of the rye cover crop reduced losses of nitrogen and phosphorus in field surface runoff,’ said project leader and Miner Institute Agronomist Eric O. Young. ‘Double cropping with rye and corn silage may be a good fit for farms in Northern New York looking to increase hay forage production while reducing nutrient losses,’ Young added. Overwintering forage crops such as winter rye, also known as cereal rye, germinate at cooler temperatures and are hardy against Northern New York cold and snow. ‘Establishing a winter forage crop such as rye or triticale after corn silage harvest can reduce soil erosion and improve soil health, and can potentially supply a hay forage crop for spring harvest, but attention to management and the right growing conditions are needed,’ said Young. The research team has developed insight into practices that could improve the opportunity for yield from both the corn silage crop and the winter rye crop. The 2016 trials showed that planting corn for silage following a winter rye crop can decrease the corn yield significantly. The corn silage yields were approximately four tons per acre lower in the winter rye plots that year,’ Young said. 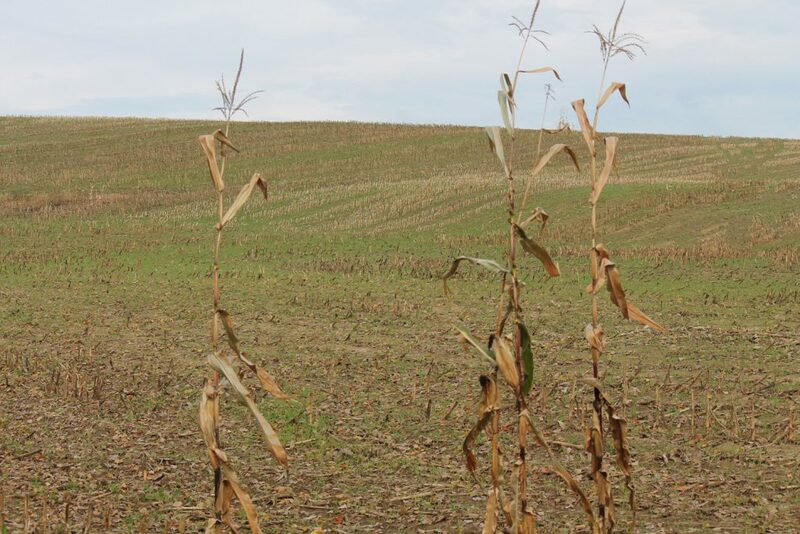 He suspects that rye actively growing when the corn was planted in the 2016 trial and no-till planting to establish the corn crop likely exacerbated a yield penalty associated with the rye. In the 2017 trials, rye and control plots were disked prior to planting corn and there was no significant difference in corn yield. Young suggests that the rye should be terminated two weeks prior to planting corn in combination with some level of tillage to increase the rye biomass decomposition and allow for easier planting and more consistent planting depth for the corn. This project is taking advantage of small field plots equipped with tile and surface monitoring capability funded earlier by the Northern New York Agricultural Development Program. Those plots were used to evaluate the impact of tile drains on phosphorus loss and will assist the double cropping project by indicating how the winter rye impacts the loss of nitrogen and phosphorus in field runoff. 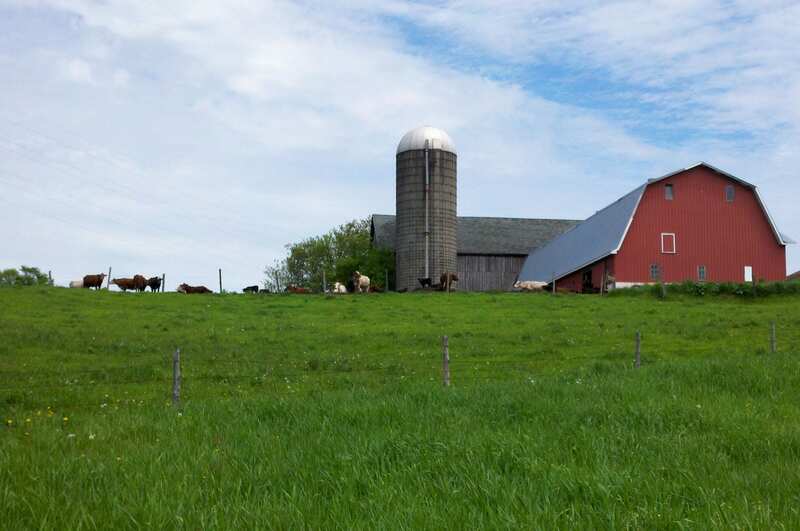 The farmer-driven Northern New York Agricultural Development Program provides research and technical assistance to farmers in Clinton, Essex, Franklin, Jefferson, Lewis and St. Lawrence counties. Funding for the Northern New York Agricultural Development Program is supported by the New York State Senate and administered by the New York State Department of Agriculture and Markets. This week’s crop report (PDF). The main issue is potato leaf hopper numbers over threshold in heavy alfalfa fields. The second major issue is the potential for DON in wheat this year. Setting combines to blow out infected kernels and sampling for DON analysis. Many corn fields will need to be side dressed with N soon. 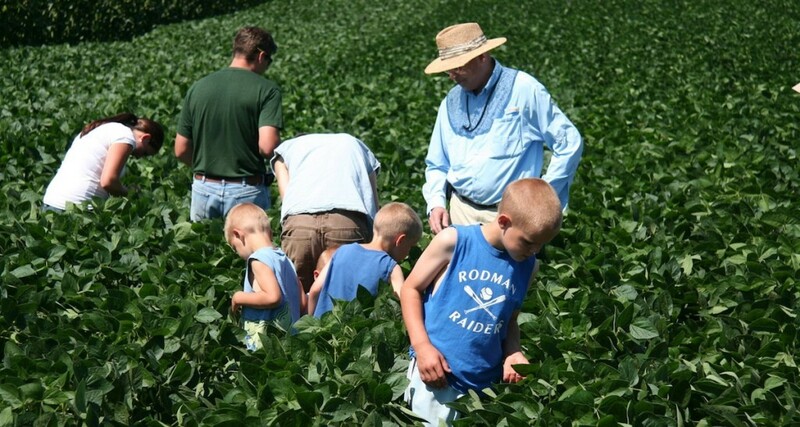 The farmer-driven Northern New York Agricultural Development Program has funded the first systematic assessment of the micro-nutrient status of soybeans in northern New York State. To support optimal production of soybeans, an increasingly popular crop in the northern New York, the two-year project has begun establishing a database of critical crop nutrients for the six-county region that includes Clinton, Essex, Franklin, Jefferson, Lewis and St. Lawrence counties. In 2015, plant samples collected from 39 soybean fields located across 29 farms on the west side of the region were analyzed by the Analytical Laboratory and Maine Soil Testing Service in Orono, ME, for boron, calcium, iron, magnesium, manganese, phosphorus, potassium, and zinc levels. The project team was most interested in learning manganese levels as application of common herbicide can decrease availability of the nutrient to plants causing growers to sometimes over-apply manganese. The complete first-year results of the project are posted on the Northern New York Agricultural Development Program website at www.nnyagdev.org. In 2016 the project includes collecting soil samples and field histories with plant samples, and evaluating soybean response to various levels of manganese application. The additional data will begin to identify the impact that such factors as soil type, planting date, soybean variety, soil pH, or manure or fertilizer applications may have on soybean nutrient levels. More than 100 farmers help guide research project selection for small grant funding from the Northern New York Agricultural Development Program. Funding for the Northern New York Agricultural Development Program is supported by the New York State Senate and administered by the New York State Department of Agriculture and Markets. NNY economic impact reports, project results and resources are online at www.nnyagdev.org. ‘Measure yield’ is the number one thing growers can do to help themselves improve crop production that Dr. Quirine M. Ketterings told farmers attending the 2016 Northern New York Agricultural Development Program annual meetings. ‘To improve management of crops, we have to do a better job with measuring yield and crop response. Field-to-field and year-to-year management records are needed for an analysis of what management alternatives can enhance versus limit crop production,’ said Ketterings, director of the Cornell University Nutrient Management Spear Program. ‘Northern New York has seen an upward trend in corn silage and grain production since World War II due to advances in plant breeding in production efficiencies. Yet, challenging weather and field-to-field variability of soil, drainage, and management practices all continue to limit production,’ Ketterings noted. She encouraged farmers to measure yields and participate in NNYADP field trials to help build a database that can be used to determine what influences production and which practices can be effective in overcoming limitations, given the unique growing conditions, soils and climate of the northern NY region. ‘We get the most relevant data when we gather it on your farms. The farmers that have participated in our whole farm nutrient mass balance assessments over the years have shown there is both an opportunity and feasibility to improve production while reducing the environmental footprint of agriculture,’ Ketterings concluded. Ketterings has conducted vital crop production, nutrient management, and agricultural environmental stewardship research in Northern New York for many years. She presented the scope of her current work in the region at meetings in Chazy and Watertown. Her projects include a corn yield potential study, evaluation of Greenseeker and yield monitoring technology, winter cereal crop production to boost emergency forage supply, and, in 2016, a new study of forage sorghum in rotation with winter cereals. The corn yield potential project initiated in Northern New York is now statewide. 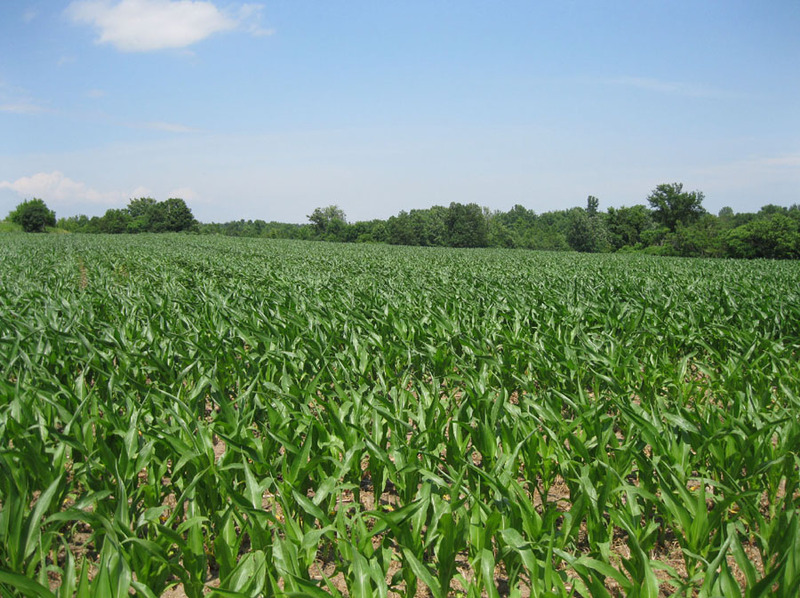 ‘The corn yield potential study is one example of a project where Northern New York took the initiative and leads the rest of the state with its focus on research,’ Ketterings commented. For the corn yield study, the three-year average yield across all fields in the study to date equaled the yields documented in the Cornell yield potential database. Yet, about 25 percent of the fields averaged corn yields that were 10 percent or more above the yield potentials listed in the Cornell database. ‘Our followup work is to understand under what conditions we obtain such higher yields and when yields are below potential, and to understand if higher yielding fields need to managed differently, specifically for nutrient management,’ Ketterings explained. 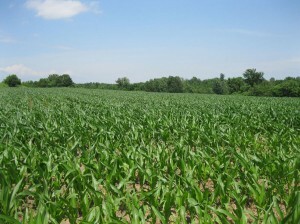 More information on the NNYADP corn yield research project is posted at www.nnyagdev.org. Northern New York farms are participating in Ketterings’ work evaluating the use of crop sensors to determine optimal nitrogen application during the growing season. Early field results that included multiple scans throughout the season indicate the best window for crop sensing is the V7 stage of plant growth. A general conclusion from her analysis of return on investment with winter cereals is that double cropping properly managed can pay off on the right fields. The Winter Forage Small Grains to Boost Feed Supply: Not Just a Cover Crop Anymore report is posted at www.nnyagdev.org. A new NNYADP-funded project in 2016 will evaluate the use of brachytic dwarf BMR forage sorghum as a shorter growing season option versus corn silage under Northern NY growing conditions. Questions include whether sorghum can compete with corn silage when late planted and harvested early. Data from three NNY sites in 2016 will be added to field trial results from eight sites in central and eastern NY. Ketterings also suggested managing fields for soil conservation, organic matter, optimal fertility and pH; not basing decisions on just one year of data; and conducting a whole farm nutrient balance. The latter is a simple assessment of the difference between nutrients imported through feed, fertilizer, bedding and animals versus the nutrient exported through milk, animals, crops and manure. Knowing the difference, i.e., the balance, has resulted in improvements in nutrient use efficiency over time. As such the whole farm nutrient mass balance is another tool that illustrates the power of measuring for improvement management. More than 100 farmers provide input to the NNYADP on dairy, crops, fruit, greenhouse, livestock, maple and vegetable production. Funding for the Northern New York Agricultural Development Program is supported by the New York State Senate and administered by the New York State Department of Agriculture and Markets. NNYADP economic impact reports, project reports, resource links, and NNY events are posted on nnyagdev.org. With research in the past 10 years showing notable exceptions in how well predictions of corn yield potential matched actual yields on North Country farms, the farmers of the Northern New York Agricultural Development Program wanted to learn more about the factors influencing the beyond-expectations success. For science based, real time, on farm data, the NNYADP provided grant funding to Dr. Quirine M. Ketterings, director of the Cornell University Nutrient Management Spear Program in 2013-2015. Ketterings and the Nutrient Management Spear Program are known for applied research that helps New York farmers more efficiently use the nutrients available in manure, crop rotations, and purchased fertilizer to support crop production and agricultural environmental stewardship. Newer varieties of corn are higher yielding, as seen in the increase in average corn silage and grain yields in New York State over the past decades. Higher-yielding cornfields, however, do not necessarily require more nitrogen to obtain higher yields. Variations in management, soils, and many other factors impact actual nitrogen need. ‘The farmers were asking if higher yielding varieties require more nitrogen and that generated the idea to evaluate actual corn yields on Northern New York fields and to combine that with an assessment of nitrogen management,’ Ketterings explains. In 2013 and 2014, Ketterings worked with farmers and farm advisors in Northern New York to compare actual corn yields with yield expectations based on the Cornell Soils Database that is itself the basis for Cornell’s nitrogen application guidelines. The average yield across 36 cornfields in NNY for 2013 and 2014 combined was 113 bushels per acre, four bushels less than the average yield potential for all sites in the project. However, 25 percent of the 36 cornfields evaluated yielded more than 110 percent of the Cornell yield potential. With a Northern New York Agricultural Development Program grant for 2015 work, Ketterings will evaluate yield potential using new field technology to gather data on three levels: per farm, per field, and within a field. The results are expected to contribute to the updating of the Cornell corn yield database. ‘The Northern New York Agricultural Development Program research is helping us develop an adaptive N management approach that allows for changes over time to build more precise management guidelines,’ Ketterings says. The technology Ketterings is using in 2015 includes an optical sensor that evaluates corn plant vigor throughout the growing season based on changing field conditions. ‘It is too early to make changes to the Cornell Soils Database. With participation in this project by a large number of Northern New York farms, we can generate the database needed to support changes,’ Ketterings adds. Ketterings suggests more farmers get involved in the project, invest in equipment that allows them to actually measure field yields, and share their yield data with the Northern New York Agricultural Development Program project leader. The Northern New York Agricultural Development Program is a farmer-driven research and technical assistance program serving Clinton, Essex, Franklin, Jefferson, Lewis and St. Lawrence counties. Funding for the Northern New York Agricultural Development Program is supported by New York State Senate leadership and is administered through the New York State Department of Agriculture and Markets. For more information on crop production in Northern New York, visit www.nnyagdev.org. Growers that are pushing high yields for wheat that have done plot studies with different rates and timing of N have started to revisit P fertilizer applications. Remember that most of the P in the soil is held in chemical combinations with calcium and magnesium and are unavailable for plant uptake. Placing a readily available form of P (fertilizer) in a band next to the seed can give your crop a boost especially in soils with low P levels. See the comments below from Greg Roth on potential need for N in the fall under certain circumstances. With the combination of high corn yields, above average precipitation this year, we might see more response to fall N on our small grain crops. Fall is a good time to meet the P and K needs of the small grains and often some N is added in the process if using MAP or DAP as part of the program. A recent Maryland study found that economic responses to fall N are most likely when soil nitrate-N levels are below 10 ppm following corn. They found no response to N following full season soybeans. When soil nitrate levels are less that 10ppm emerging seedlings can sometimes exhibit N deficiency that can limit fall tiller development. Our recommendations have been to apply up to 20 pounds of nitrogen and all of the phosphorus and potassium broadcast prior to planting, or to apply a portion with the drill and the remainder broadcast. To minimize fertilizer burn, do not apply more than 15 pounds (nitrogen) or 30 pounds (nitrogen + potash) per acre in the row with the seed. It’s not that common to apply fertility with the seed here, but farmers and researchers in Ontario report responses of an average of 7.5 bushels per acre, using 50 to 100 pounds of MAP in the row with the seed. I am interested in this idea here and wonder if it would have a benefit on no-till wheat, which often lags a bit in development in high residue seedbeds. It might also be especially beneficial in those late planted fields with low to medium P levels. Last year we saw some responses to the old starter rows in no-till wheat and barley and I suspect these crops would have responded well to some P with the seed.